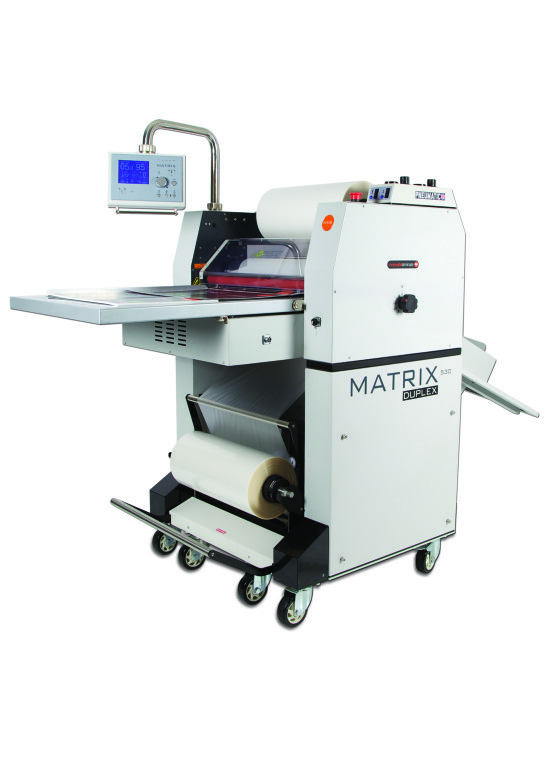 The *NEW* Matrix MX 530DP B2 Duplex roll laminator/encapsulator is the perfect new laminating machine for anyone who does mostly double sided laminating. With all the features of the original MX530 plus pneumatic pressure for faster laminating, the MX530DP will double output speed overnight by laminating both sides of the sheet at the same time. The MX530DP will even encapsulate, plus the added bonus of being able to perform digital foiling - easily produce stunning metallic and "spot UV" effects! Alternatively upgrade your existing MX530 laminator with retrofit option.